The Grand Venetian by the architectural firm of Kobi Karp is a 25 story building found within the Venetian Islands, the easternmost Belle Isle to be exact. Its position allows residents to enjoy views of Miami Beach, Biscayne Bay, the other five Venetian Islands as well as Star Island to the south. Experience the feel of living in a waterfront island condo by exploring Grand Venetian and its 135 Miami Beach condos for sale. The swimming pool and sundeck of Grand Venetian overlooks Biscayne Bay. You'll also find a fitness center plus other great amenities waiting for you to explore. The modern residences of the Grand Venetian condo have plenty of features that include stainless steel appliances plus marble bathrooms. Spacious balconies are also included and several units also have wraparound balconies. The location of Grand Venetian places it roughly equidistant to Miami Beach and Downtown Miami, both of which have a number of places you can visit. 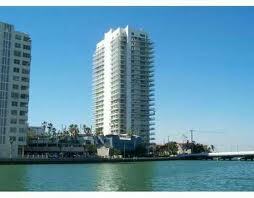 Lincoln Road, Ocean Drive, the American Airlines Arena, Bayside Marketplace, South Beach, it's all nearby.